The biggest headline of the 2017 Tour de France thus far is not a happy one. In what many people, including myself, consider an overly harsh and undeserved decision, Peter Sagan has been ejected from the race. At the same time, Mark Cavendish is injured and out. Barely halfway through the first week, two of cycling’s biggest names– my two favorite riders in fact– are gone. Suffice to say this Tour will not be the same, but as always it goes on without hesitation. Like it or not, the harsh reality of professional cycling prevails. 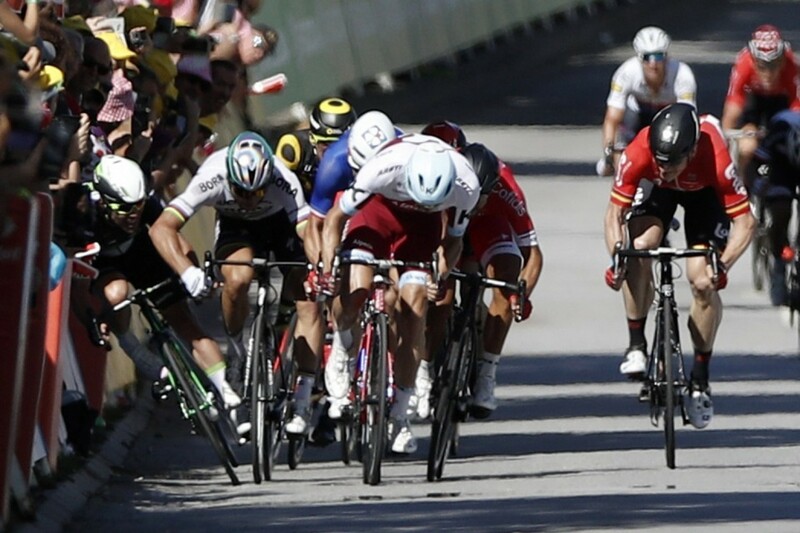 The controversial, fateful elbow moment came just before the stage 4 finish. 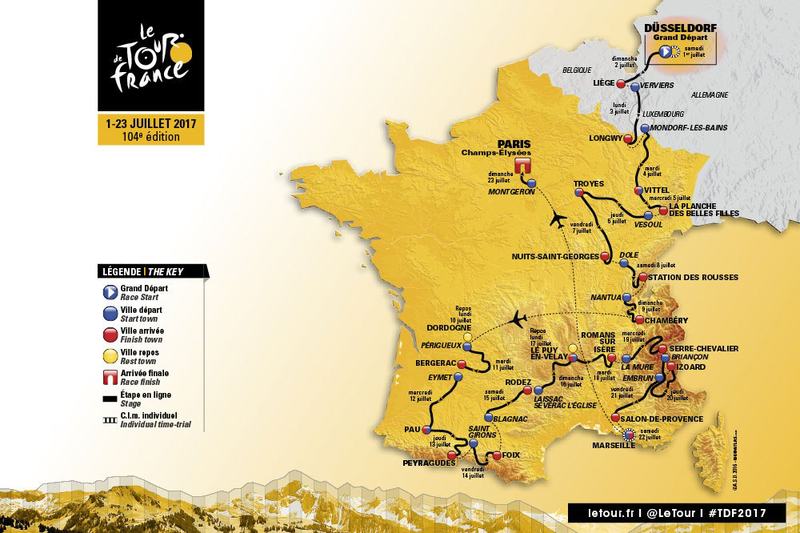 The month of July has come once again, which of course means there’s a certain cycling race getting underway in France. (Actually, it starts in Germany this year, but French soil isn’t far off.) Starting today in Dusseldorf, here we go with the 104th Tour de France! Another One, Come and Gone! Luckily for France, the one and only French stage win of this year’s Tour finally came on the third-to-last day, as young Romain Bardet climbed to victory on stage 19. Even luckier for France, this significant time gain pushed the 25-year-old Frenchman up into second place overall. As it turns out two days later, as a record 174 of the starting 198 riders crossed the final finish line of stage 21, and while Peter firmly retained the green jersey for his fifth consecutive year, France saw one of their own on the podium in Paris, right behind now three-time Tour de France champion Chris Froome. Another one, come and gone. C’est Le Tour, encore! The day after stage 1 puts yellow on the back of Mark Cavendish, a brilliant stage 2 finish transfers that yellow onto Peter Sagan. For the former this marks his 27th career TDF stage win, while the latter finally enjoys his first such TDF victory du jour since 2013. Plus, both have now worn le maillot jaune for their first times in any Tour de France! Then comes stage 3, and a second, photo-finish win for Cavendish! This brings him to 28 total TDF stage wins, surpassed only by the legendary Eddy Merckx. Meanwhile, Sagan gets to enjoy yellow for at least another day across relatively flat central France. Altogether, my two favorites are off to memorable starts. Three down, 18 to go. Vive Le Tour! And Happy 4th of July to the mere five competing Americans!